Yesterday, Rovio published another one of those Angry Birds Star Wars teaser trailers featuring Han Solo & Chewie. Previously, we’ve seen gameplay trailers showing characters like Luke and Leia and R2-D2 and C-3PO. 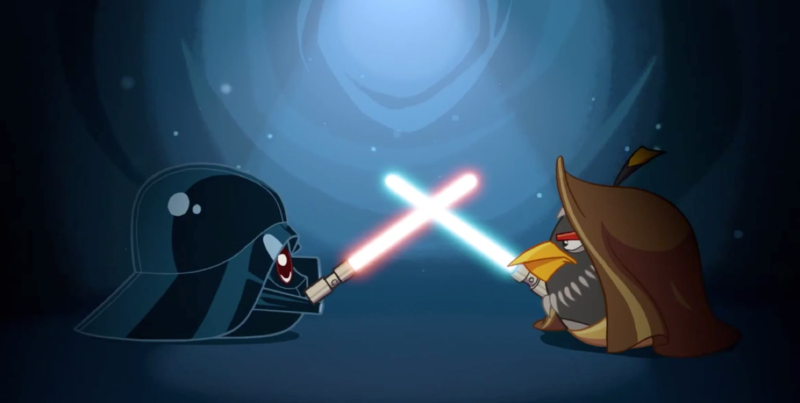 Now, another exclusive gameplay trailer for the upcoming Angry Birds Star Wars game has been published that features Obi Wan & Darth Vader, the two core characters from Star Wars franchise. According to Rovio, the official Angry Birds Star Wars gameplay trailer will be released on November 5.